Building on fieldwork in seven Mexican cities, this report: 1) outlines the major barriers and enablers to densification, 2) identifies a series of challenges that must be overcome if mortgage credits for social housing are to be used to build more sustainable cities, 3) suggests a recalibration of policy goals to emphasize urban value creation and better urbanism rather than densification per se, and 4) proposes a new institutional platform that will help INFONAVIT achieve these goals. Called the Urban Value Creation Platform, its aim is to solicit and enable support for context-specific social housing projects that envision shelter not as an object conceived through a mass production mentality, but rather as a stimulus for assembling healthier neighborhoods and constructing more efficiently organized, environmentally and socially sustainable cities. As a proposed innovation, the Urban Value Creation (UVC) Platform builds its mission around INFONAVIT’s founding principles as a financial institution intended to serve Mexican workers, employers, and the country as a whole, but it brings this mission more in line with recent challenges associated with rapid and sprawling urbanization by promoting the use of a wider range of metrics, incentives, and decision-making processes to ensure that urban value creation impacts are made central to its mortgage programs. In its essence, the UVC Platform challenges the one-size fits all mentality of prior program development, and works under the assumption that through more purposeful engagement with local stakeholders, mediated by INFONAVIT state delegates serving a key role in coordinating and convening conversations around strategic co-investments, workers’ own money can be more productively spent and national urban goals can be more readily achieved. Through its coordinating activities, the Platform will increase the likelihood that mortgage credit support for social housing will create assets for both the individual homeowner and the larger urban environment. If the Platform works as conceived, such investments can be leveraged in ways that also bring medium-term returns back to INFONAVIT, both ensuringfinancial solvency and making funds available for future projects. This interactive, multimedia case tells the ongoing story of an effort by a high-profile Chinese real estate developer (Country Garden) to build the largest gated community (Forest City) in Asia for as many as 700,000 residents at an estimated cost of $100 billion, on reclaimed land in the Strait of Johor, between Malaysia and Singapore. The controversy that arose in 2014 over the social and environmental impacts of the project caused the Malaysian courts to stop the project temporarily, even though state and local permits had been granted. This led to a somewhat scaled-down version of the project, as well as a requirement that the developer pay compensation to fisherman and villagers who were already adversely affected. Housing relocation has been avoided as much as possible for its disruptive impact on people’s lives. Recent large-scale disasters worldwide have, on the contrary, lead to debate on the pros and cons of relocating residents away from coasts to save lives. 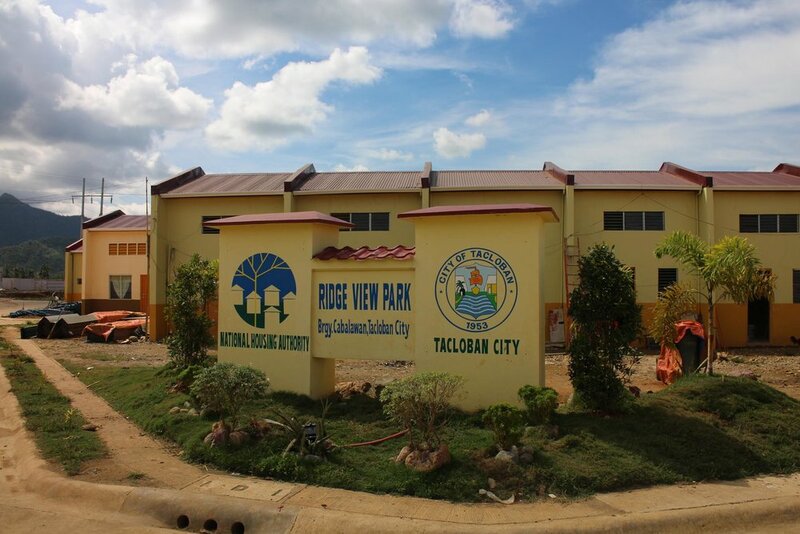 This chapter examines the first 20 months of housing relocation efforts in Tacloban City, Philippines, which was severely damaged by the 2013 Typhoon Yolanda (international name Haiyan). The City has adopted “no-build zone” ordinance in recovery and regulates residential redevelopment along the coast. Although they planned to carry out relocation in two steps, to temporary housing and then permanent houses, residents’ paths to permanent housing were varied in actuality. With multiple types of support from various actors including international donors and civil society organizations, approaches were different one from another. housing and organizing various actors; collaboration of public-private partnerships at all stages of relocation; and pre-existing planning and its consensus to develop the northern part of the city. However, issues are also emerging – in the short-term, residents in the relocation process are becoming more vulnerable as their former social networks and livelihoods have been disrupted. How to sustain lives in relocation site is a serious issue for the long term; considering and introducing livelihood opportunities at the earliest timing is key to making large-scale relocation work.